CJG5 Series 27" 16:9 Curved 144 Hz LCD Monitor is rated 3.3 out of 5 by 4. Rated 1 out of 5 by 4shou from White screen of DEATH!! Not only did the monitor take more than 2 months to ship, it had the white blank screen of death in less than 10 days of using it. It was great while it worked, nice color and contrast, great price for a 1440p 144hz. Very disappointed by Samsung's quality control. It's a shame I'll have to return it. Rated 5 out of 5 by Denise123 from Perfect monitor, amazing value I love this monitor. Looks premium with the curve and small bezels. The curve and 144hz gives a great feel of smoothness and immersion. Excellent contrast. I couldn't find any dead pixels. 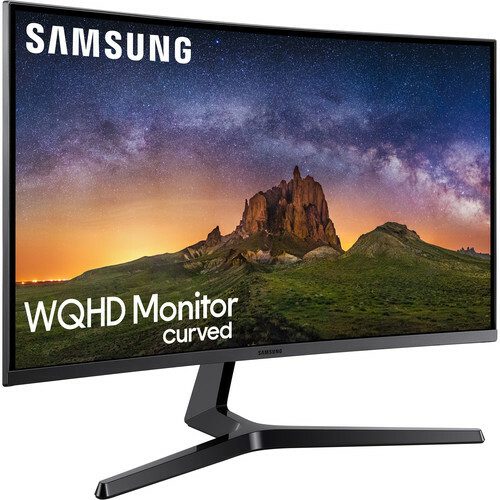 I'm glad they made this monitor cheaper by not including Freesync and Gsync, since games with high frame rates at 144hz don't really need it.